* Ensure all team sheets are filled out in full and all information correct. A team official MUST sign the team sheet after referee completes officials information. 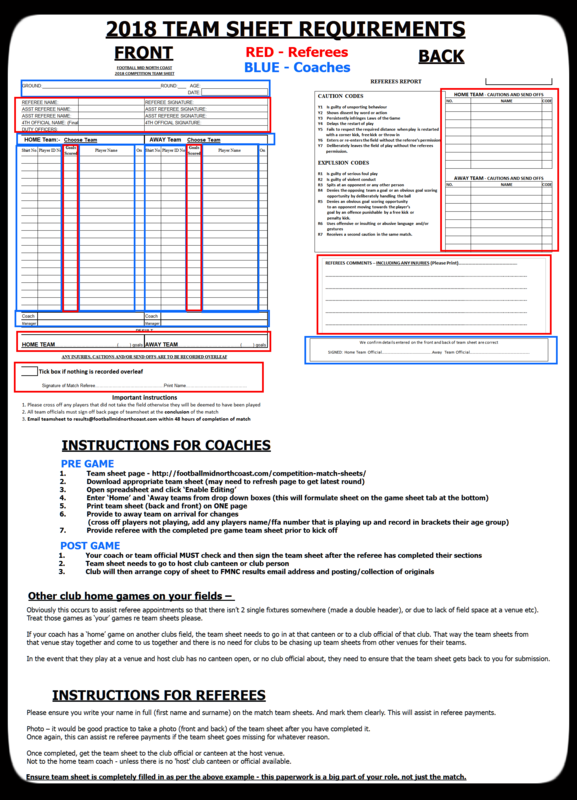 * Ensure that team sheet is handed in to host club canteen or club official after the match by team official or referee.